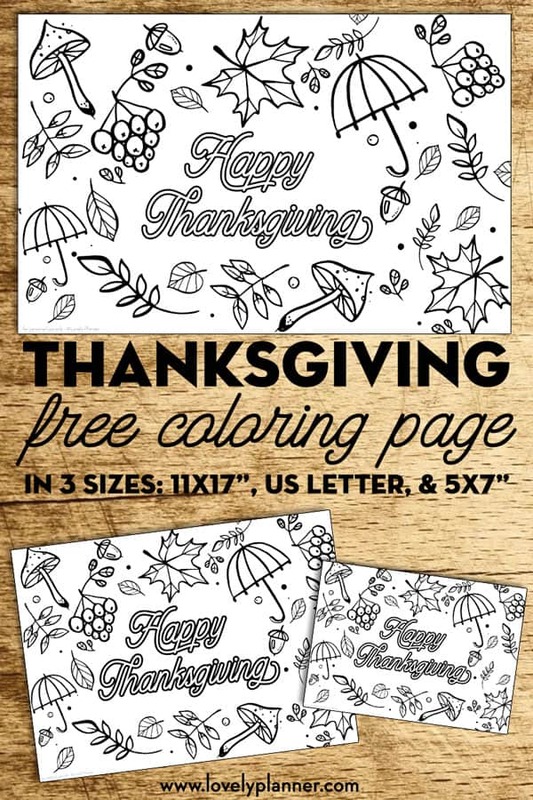 Here’s a free printable Thanksgiving coloring page in 3 sizes that you can use to entertain and relax yourself (coloring page), to decorate your table and entertain your guests (coloring placemat) or even to send a personalized postcard with (coloring postcard). It includes fall doodles and a pretty “Happy Thanksgiving” lettering. 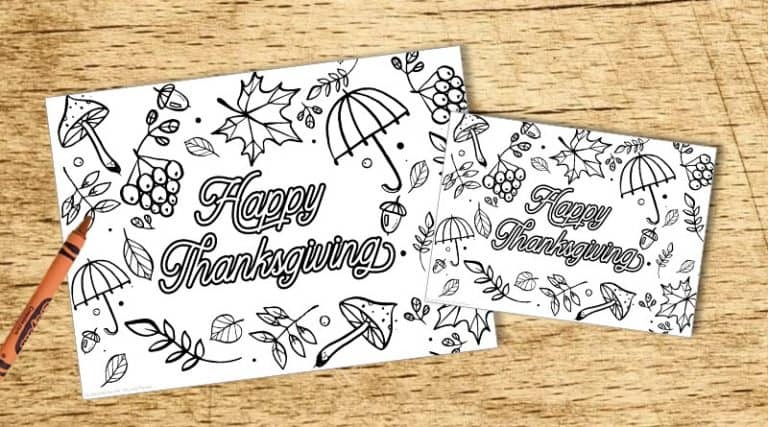 I’ve also started creating a free printable activity sheet/placemat that will be perfect to entertain the younger ones on Thanksgiving, so stay tuned! 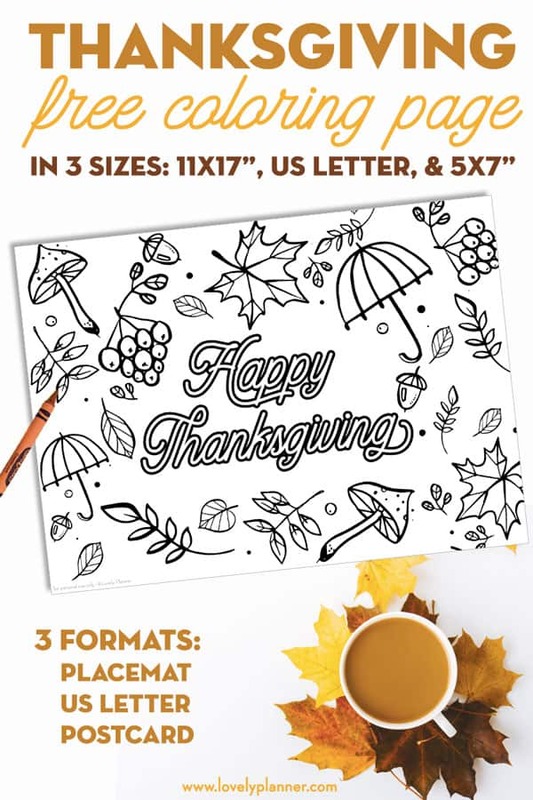 3 sizes are available: 17×11″ (placemats), 8,5×11″ (US letter: coloring page) and 5×7″ (postcard), download and print whichever you want to use. These are great images for Thanksgiving! I love that you have the different sizes. Thank you. Blessings from Port Huron, Michigan.